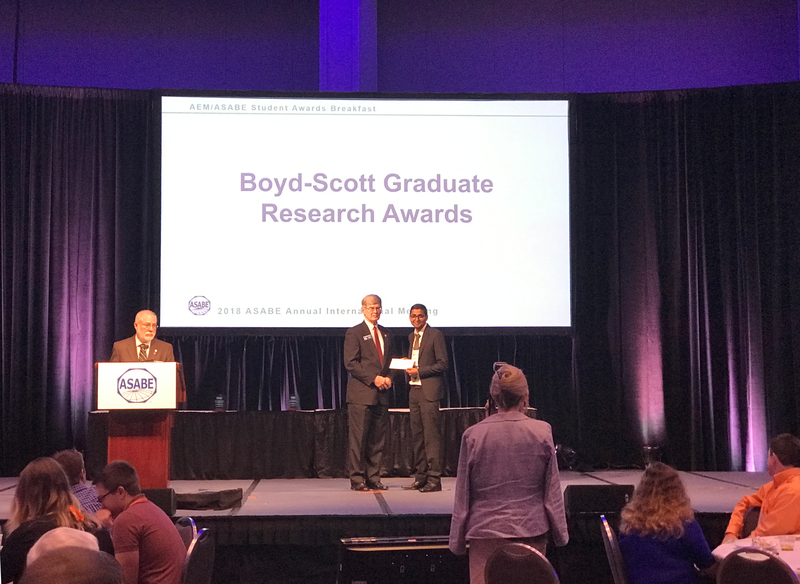 Faculty and Graduate Students from Biological Systems Engineering attended the American Society of Agricultural and Biological Engineers (ASABE) 2018 Annual Meeting. The event took place July 29, 2018 – August 01, 2018 in Detroit Michigan. BSE Faculty included Lav Khot, Troy Peters, Juming Tang, Manoj Karkee, Sindhuja Sankaran, and Qin Zhang. WSU alumnus Dr. Norman Scott was also in attendance.